Bellway started developing Stannington Park in 2008 and the community is now well established and includes its own gastro pub, St Mary’s Inn. Additional amenities planned for the future include a cricket pitch, community centre and creche. Stannington Park extends across 136 acres and a key feature of the development is the green open spaces and woodland setting which Bellway have been careful to preserve giving the development a very mature ambience. 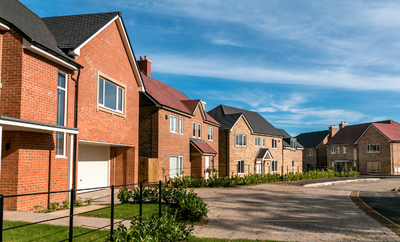 Visitors to the development can view Bellway’s Haydock show home to gain an impression of the quality of the homes and the standard of living they will be able to enjoy at Stannington Park. To help buyers move to Stannington Park, Bellway is able to offer a package of flexible deals including, part exchange arrangements or their Express Mover deal, where Bellway will manage the sale of your old property free of charge. Buyers can also take advantage of the Government’s Help to Buy scheme which only requires a 5 percent deposit and offers a 20 percent 5 year interest free Government loan which helps to reduce mortgage repayments during the first five years of ownership. Stannington Park is situated three miles from the attractive village of Stannington on the A1 and is therefore only 13 miles from Newcastle city centre and 5 miles from the market town of Morpeth which provides a range of education facilities including the well regarded King Edward V1 senior school and Chantry and Newminster middle schools.